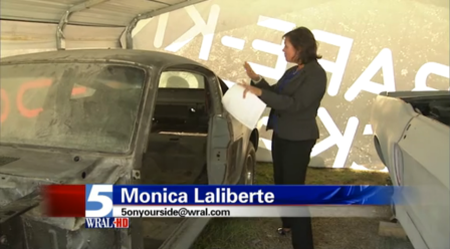 WRAL.com has filed a report stating customer Roger Gann bought a 1968 Shelby GT500E Clone from Classic Chassis owner Brian Clark in December 2006, paying about $60,000 for the car and restoration work. Pretty good deal if you ask me. But that should have raised alarms. “He was doing great work on the car. It looked tremendous. I was over there inspecting it. It looked good,” Gann said. Happy with what was going on Gann paid another $160,000 for two more Mustangs but shortly after handing over the money that’s when things began to go wrong. And now more than three years later Gann still has only shells and is out of pocket $160,000. Other customers have also had bas experiences with the company. “He gave me the run around over a dozen times,” customer David Smith said. “The body work was awful. It still has rust and dents,” customer Teresa Masouras wrote. In a phone interview with WRAL.com Clark said that some delays were caused by a tornado that damaged his business in March 2009. He said that he also had surgery last month and had to fire some problem employees. As for Gann’s cars, Clark blamed the delay on changes and upgrades that Gann wanted. He said that work on the Shelby GT was finished long ago. “I’m not out to steal or defraud anyone. I’m just trying to run a business,” Clark said. *through their minds* is what I meant to say. Thank God Brain Clark is going out of business. One less crook in the world if you ask me. I to have been con by Brain Clark. Spent $25,000 and did not get anything that I was promised. It has been a couple of yr since I get my car back from him and have had nothing but problem after problem. Way to much to really go into. I would be glad to see him lose everything.